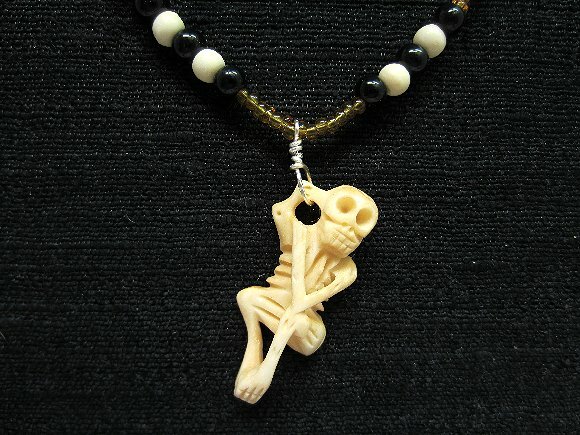 The carved bone pendant depicts a skeleton with flexed knees and arms wrapped protectively about itself. It looks as if it has frightened itself into jumping! It's a fun piece to wear for Halloween or the Day of the Dead. The carved skeleton pendant dangles about 2" below the 17-1/2" strand. 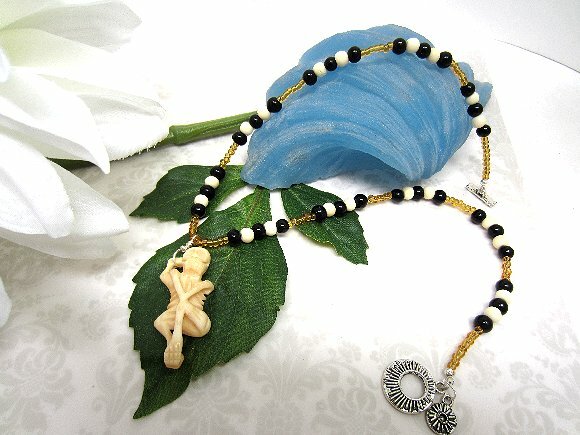 Closing with an antiqued silver plate toggle, the strand features bone and glass beads. It's another hauntingly fun necklace from SPARKLE PLENTY.